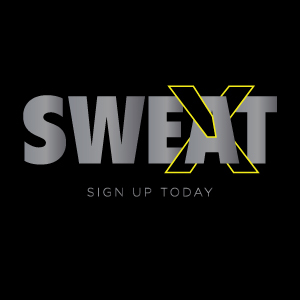 Tracy Shannon is president and co-owner of the SWEAT Fitness chain. Its six Philly locations, and two in the burbs, allow customers flexible pay options to work out as little or as much as they want. TRACY SHANNON, 40, of Blue Bell, is president and co-owner of SWEAT Fitness, which has six gyms in Philadelphia and two in the burbs. Shannon, a Temple grad and a married mother of three young boys, has been with SWEAT since its first location opened in 1997 and has been heading up all operations since. Q: How’d you land at SWEAT? A: I was working at a club and met my business partner [Dan Neducsin], who told me he was opening a SWEAT at 24th and Walnut. I’d finished college with a degree in exercise science and SWEAT offered me a job. Q: Did you buy into the biz? A: For the first year I just worked there, and when [Neducsin] said he was opening a second one, I said I wanted to be a shareholder. I took out a loan my grandfather co-signed. I can’t give you a precise number, but it was more than $100,000. A: We have eight facilities and each one has its own personality. You can go month-to-month or daily, or you can do a year or you can pay for a pack of classes. Daily is $15, monthly is $45 and an annual membership is $540, but we give you two additional months on the back end if you commit to a year. Q: What differentiates SWEAT from its competitors? A: It’s our passion and we stay up-to-date on the industry. I go to New York, Miami, California and ECA World Fitness. Our goals, where we invest our money, come from our members’ input. Towel service is a must for our members. It’s very costly, but we’re going to give our members what they want. A: Anybody who’s 18 to 65. At 15th and Arch, we have a large saltwater pool. It’s amazing. If you have arthritis and can still swim, the salt feels incredible. I would say we have about 40 percent male, 60 percent female. A: Over 15,000, and 90 percent are annual members. A: We have about 300 employees, 80 are full-time and the rest are part-time instructors, Group X, cycling instructors, personal trainers and maintenance. We’re a million-dollar company. Q: What’s been the biggest challenge growing the biz? A: We have many stakeholders: Investors, partners, board members, employees and customers. I have a lot of people to please, and all want something. It’s a balancing act. A: Keep strengthening our financials and then expand. It would be nice to find two more locations by the end of 2015.